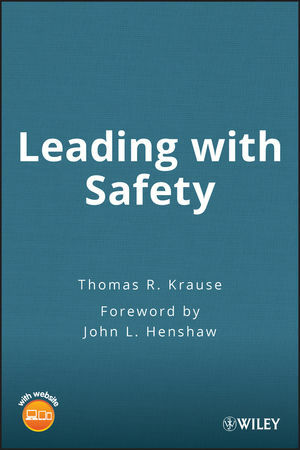 Despite the extensive literature on safety, few tools have been available to help managers quantitatively assess the level of safety management and the quality of the safety practices in organizations. In his consulting practice, Dr. Jim Stewart, a former executive at DuPont, developed such a method, crafting a safety survey centering on a comprehensive questionnaire for employees at all levels, that reveals the true level of corporate commitment to safety. 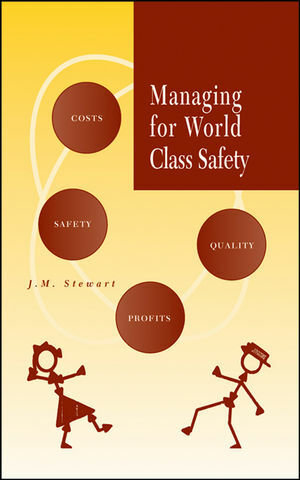 Managing for World Class Safety first describes the model of safety management that underpins the questionnaire and then demonstrates how this innovative procedure illuminates critical intangibles like management commitment, the enforcement of rules, worker involvement, and injury investigation. By developing quantitative benchmark data, Stewart reasons that it will be easier to convince reluctant management to undertake the fundamental change necessary for a "step change" in their company performance. Managing for World Class Safety promises a revolutionary new approach to workplace safety improvement for corporate leaders, safety professionals, and regulators. J. M. (JIM) STEWART, PhD, a safety management consultant and former executive at DuPont, served as Executive-in-Residence at the Rotman School of Management at the University of Toronto from 1991 to 1998 during which time research for this study was undertaken. The Model of Safety Management. Selection of Companies for Research. Analysis of the Questionnaire Results. The Safety Management Approaches of Five Very Safe Companies. How Companies Achieve Excellence in Safety. Applying the Results of the Research. Appendix A: References and End-Notes. Appendix C: Questions for Interviews of Company Leaders. Appendix D: Statistical Analysis of Data. Appendix E: The Safety Questionnaire. Appendix F: Tables of Detailed Results. Appendix G: About the Author.